If you’re running a business, chances are that ROI is one of your main concerns – so why leave your training to chance? The internet doesn’t just have to be a valuable marketing tool, it can help you move compliance training into the 21st century in a way that keeps workers engaged, involved, and up to date on the things that matter the most. Don’t let your training and internal processes fall behind in an age of smartphones, information overload, and on-demand access to just about everything. While there doesn’t need to be “an app for that”, moving your compliance training online makes clear business sense. From cost-effective training to increased engagement, investing in an online LMS will increase your bottom line and improve efficiency in every area of your organisation. 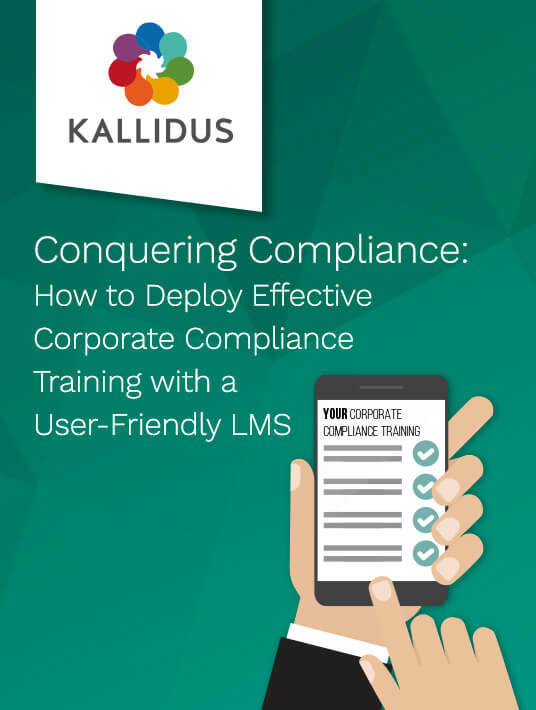 At Kallidus, we’ve been working with organisations large and small (from Birketts Law to the NHS and Morrisons) to improve their learning cultures and experiences through our award-winning user-friendly LMS, Kallidus Learn. Here are the top 7 plus sides and possibilities of online compliance training that we’ve picked up from our customers along the way. Gone are the days of stuffy classrooms, awkward trust exercises, and clock-watching. Replace this with learning that everyone can contribute to in a way that suits them. While team-building activities are great for morale and company culture, compliance training is often left by the wayside and can suffer from a strictly top-down approach. Online compliance training allows your team members, regardless of location, to chip in on the experience and engage with one another through public discussion threads, instant honest feedback, and in some cases, User-Generated Content (UGC). If you’re operating a business on a large or fast growing scale, nationally or internationally, moving your compliance training online allows you to push out updates, policy changes, and new training modules instantly. Not only this, but proving your organisation’s compliance is becoming more and more important. For example, when GDPR came into place in 2018, having your compliance training online would have meant everyone who worked across your business, regardless of position or location, would have received access to updated company-wide standards training. Not only is this great from a legal perspective, but it also would have saved your team huge amounts of time and money on face-to-face training and logistics. Cost reduction comes in many forms. Firstly, your HR and L&D teams can save huge amounts of time on admin and logistics to organise the training. 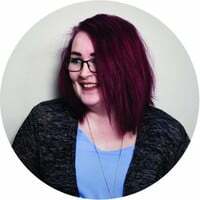 Secondly, the person(s) usually responsible for training everyone up on their compliance can take a back seat – all they need to do is work in tandem with your LMS provider at the beginning of this process to ensure everything is up to standard. Once the training is rolled out online, they can continue with other work while monitoring the progress of your team(s). Finally, although online compliance training on a streamlined LMS requires a one-off implementation fee and licensing, ongoing costs are significantly reduced when compared to face-to-face and classroom-based training. More and more businesses operate outside of a single environment and your compliance training should allow for this. Moving this training online allows for team members who work away from the office environment, say “in the field”, on a shop floor, or frequently attending off-site meetings and conferences, to catch up on compliance training anytime, anywhere. As well as assisting your business in assuring all staff regardless of location are compliant in all areas they need to be, this also cuts down once again on logistics and planning of HR and L&D teams. Over the last couple of years, you may have heard the term microlearning cropping up in discussions of L&D. It is one of the most useful tools in any L&D team’s arsenal when it comes to topics typically less engaged with, such as compliance training. Reducing compliance training into bite-sized chunks is proven to increase engagement and completion rates across all types of organisations. Our online and mobile-friendly LMS is the perfect tool for the job, enabling you to keep your training relevant and fun. This also allows for increased flexibility around your team’s typical working day, avoiding the need to sit down for 1-2 hours of training at a time. Using an online LMS for your compliance training empowers your team members to manage their own training and progress. Automated notifications to your staff ensure that they are reminded of any upcoming deadlines without line managers and L&D teams needing to chase face to face. This is especially important where compliance training is involved and legal requirements need to be met. This also empowers your management teams to keep an eye on staff progress and feedback from the courses without any need for manual data entry and checklists. You can even introduce gamification in the form of team, course-specific, or company-wide league tables to include a healthy level of competition among your staff. It’s a well-known fact among the L&D world that passive learning simply does not achieve the required results. Ever heard the famous phrase “what I hear I forget, what I see I remember, what I do I learn”? Moving your compliance training online provides a means of practical and active engagement in your learning environment. This means not only that your teams will be able to stay up to date and actively engaged in their learning, but it also improves the chances they’ll really take in their training and be better equipped to apply it in the real-life working environment. So whether you’re after business-wide standardisation, reducing costs, or improving the learning culture among your teams, online compliance training is the way to go. Investing in a mobile-friendly, visually engaging, and easy-to-use LMS is the first step towards one of the most important cost-effective changes you can make in your business. Suffering from low levels of engagement? Wanting to avoid the tick-box mentality? Looking to empower your staff with the ability to control their own progression and learning? Online compliance training has the answers. It all starts with an intuitive, accessible, and flexible system implemented across your organisation.